Did you catch the previous strip on Friday? Don’t worry, we’re now on our new and regular Monday / Wednesday schedule, so the confusion should abate…. unless the Imps get involved. There’s something very suspicious about this Iago guy. Let’s be honest, no one who shows up from Corporate EVER brings anything nice with them. 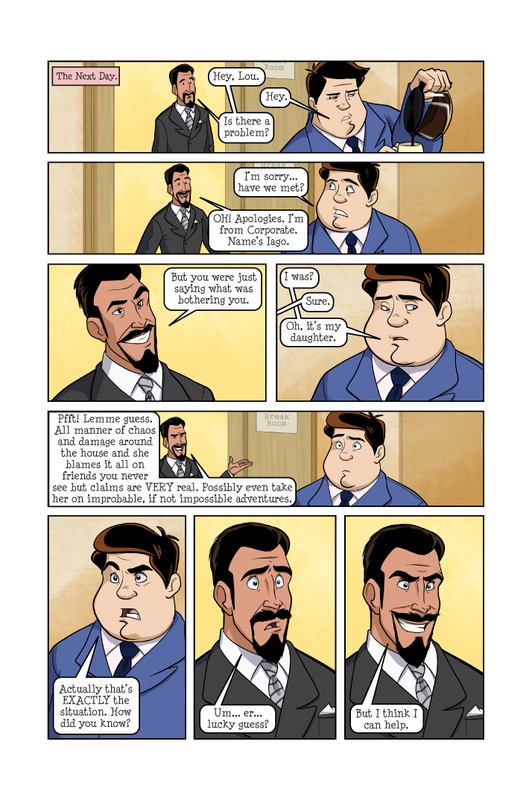 But we DO have a new bonus comic to make up for any concerns you might have about Iago. 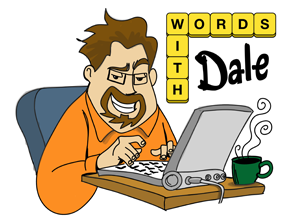 Also a new Words With Dale over at Poets’ Quarterly. Seriously…. click the link if you don’t believe us. Forget the beard, the very name “Iago” screams “villain”. Thanks, Othello. I find this guy rather unsettling. ” regular Monday / Wednesday schedule” ?? so no more Friday updates? Love the new format otherwise. 3 panel news paper style was not doing this comic justice. Iago…. an “Othello” reference? Oh dear…. that bodes ill.